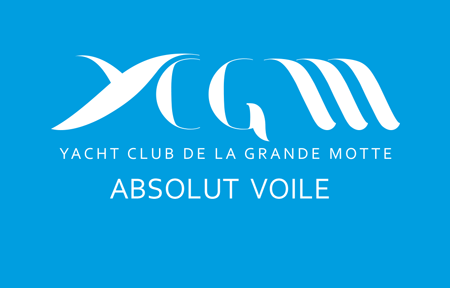 The Yacht Club of La Grande Motte created in 1967 on the occasion of the inauguration of the harbour of La Grande Motte, is the first club of Occitanie, one of the most active clubs in the Mediterranean. 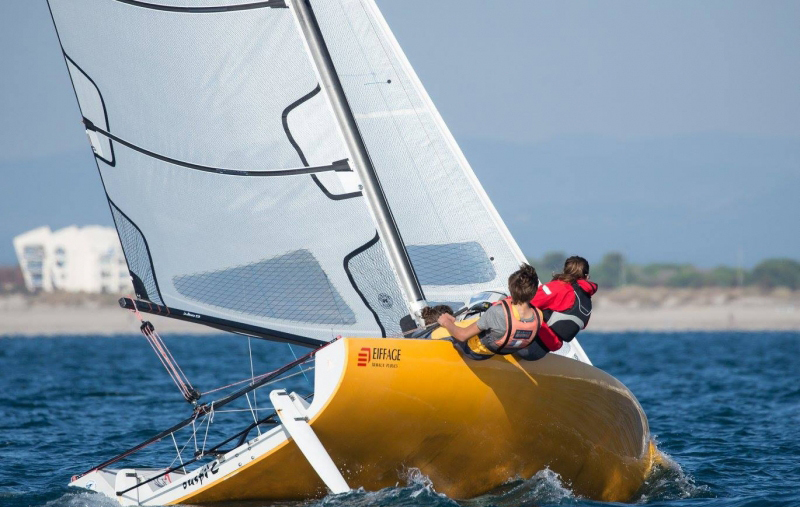 The experience, the top of the club, associated with the dynamism of its management and the support of the city of La Grande Motte, allowed to develop the nautical activities in La Grande Motte and to organize major sporting events related to the practice of sailing. The club's members include internationally renowned runners: Franck Citeau, Bertrand Pacé, Bernard Gallay, Jean-Marie Vidal, Laurent Pellecuer, Nicolas Bérenger, Gwen Gbick ... and the latest arrivals in 2017, PIERRE LEBOUCHER and BILLY BESSON ! 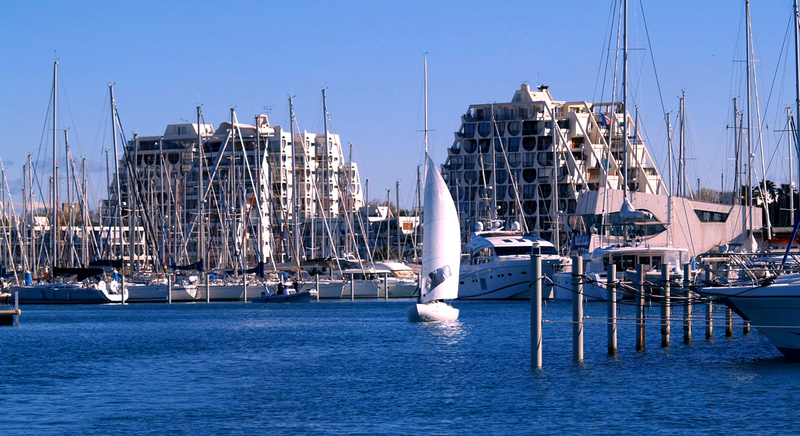 A sunny region, near the Camargue, an original architecture, green spaces covering 80% of the territory, superb beaches make La Grande Motte a unique site. Access to La Grande Motte is very easy: motorway, international airport, TGV station are at the disposal of travelers. The city has many accommodations at all levels. 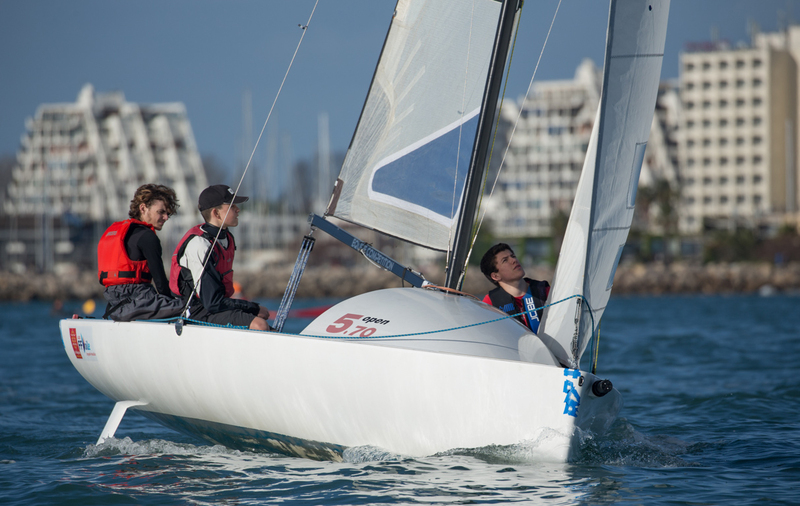 In addition to sailing, La Grande Motte offers many sports, especially golf, tennis and horse riding. 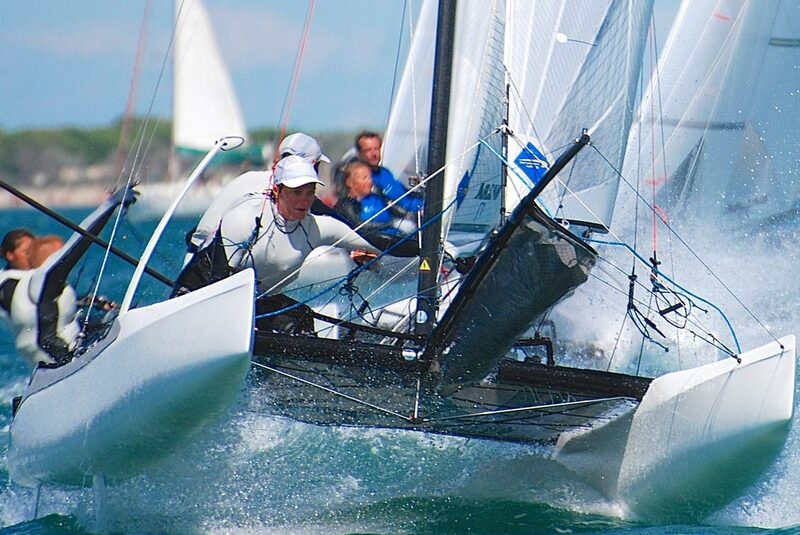 Located in the bay of Aigues Mortes, the site allows boaters and sailors to indulge in their passion 365 days a year. It is protected from the strong swell coming from the south-east by the Pointe de l'Espiguette and takes advantage of the winds of the North which allow a sensational navigation strong on a sea almost flat.. The terrace welcomes the barbecues after regatta in the summer, while the lounges allow club members to meet all year round, in a friendly and “sailing" atmosphere.